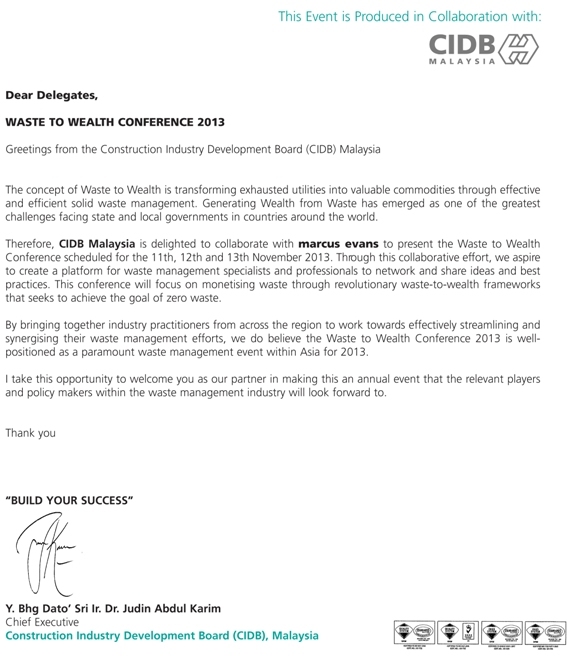 This flagship marcus evans & CIDB Malaysia's Waste to Wealth conference explores the potential wealth that your waste generates! Conducted over a 3-day period including post-conference workshops, this conference opens with an array of plenary sessions including 2 other tracks that specifically targets solid waste and industrial and hazardous waste whilst complemented with wastewater-related sessions. Join us now and be amazed at how you can turn your waste into wealth! This event is accredited by Jabatan Alam Sekitar (Kementerian Sumber Asli Dan Alam Sekitar) - Department of Environment (DOE) and Environment Institute of Malaysia (EiMAS) as part of the Continuous Professional Development (CPD) with 6 CPD hours per day. Approved by the Chartered Institution of Wastes Management, this event provides 2 days towards the Institution’s Structured Learning & Development Programme, Or 16 hours of Continuing Professional Development. 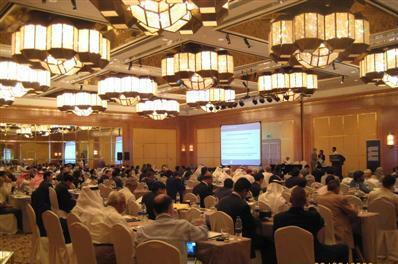 This event is eligible for 20 CCD hours under Construction Industry Development Board Malaysia (CIDB). This stream focuses on municipal, domestic waste such as food waste, paper, glass etc and how we can use the 3R concept to our advantage. This stream will also address landfill management, composting strategies and business opportunities. This stream focuses on scheduled wastes derived mainly from the oil, gas, petrochemical and chemical and heavy industries. This stream will feature various sessions on wastewater management including the use of technologies and integrated methodologies to effectively recycle these entities.